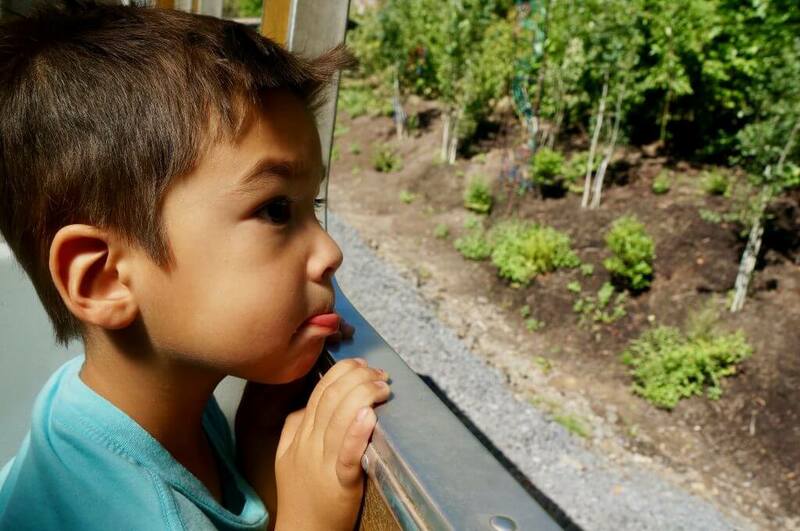 We decided to skip the Oregon Zoo last year with the purpose of returning this year primarily for the zoo train. I have to say, the Oregon Zoo has been my best zoo experience to date. The layout reminded me a bit of Northwest Trek in Eatonville, WA. It was easy to walk around the entire place with a stroller and 2 tired preschoolers. The adults and kids in our group had a great time! I have to start off by saying I saw a Black Rhino for the first time in my life. I know a trip to the zoo isn’t usually about the parents, but I was thrilled. In fact, I saw TWO Rhinos! Their names are Zuri and Ruka. They are an endangered animal and the zoo hopes they will breed. It’s as close to Africa as I’m getting these next few years. I savored every moment. They also have an incredible Elephant Lands exhibit area. There are currently 5 elephants who reside her. The elephants can roam around throughout different exhibit areas. Throughout this habitat, feeding stations, mud wallows, and water features encourage the elephants to be active 14-16 hours a day. This replicates how they would live in their natural environment. The elephant exhibit at the Woodland Park Zoo in Seattle closed recently, so this was really special for our family. One of my favorite animals is the giraffe. I couldn’t believe how close we were able to get to Desi and Buttercup. In fact, that’s what I noticed most about the Oregon Zoo. All the animals seemed so close to guests. 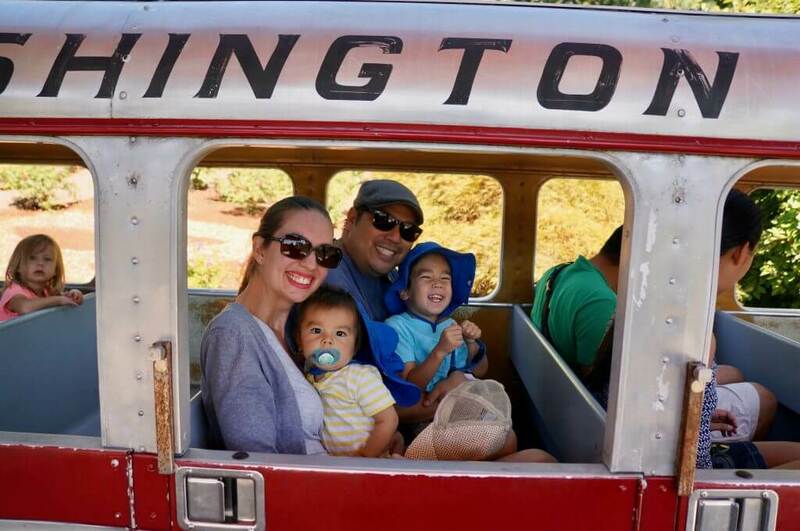 The Washington Park and Zoo Railway train re-opened this year and the route is much shorter than before. It was laughable how short it was. My friend and I actually laughed out loud because it’s 6 minutes long. It takes you from the station to the elephants and then pulls a u-turn and comes right back. But, I asked my 3.5-year-old what he thought and he told me it was a long ride. So, it might be the perfect length for preschoolers. We didn’t ride this carousel so I have no first-hand experience to share with you. Had it not been the end of the day, we probably would have stopped. What stands out in my mind the most about the Oregon Zoo is that I’d consider it a relaxing family adventure. We got there when the zoo opened at 9:30am and there was a swarm of people. However, as soon as we entered the zoo, the crowds dissipated and it felt like we were on a VIP tour. 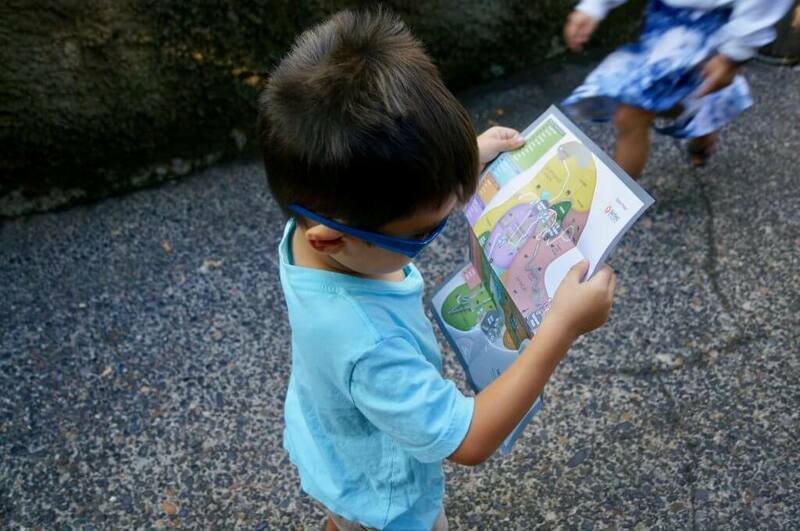 Unlike many zoo experiences, the exhibit areas felt spread out and we enjoyed walking through nature. 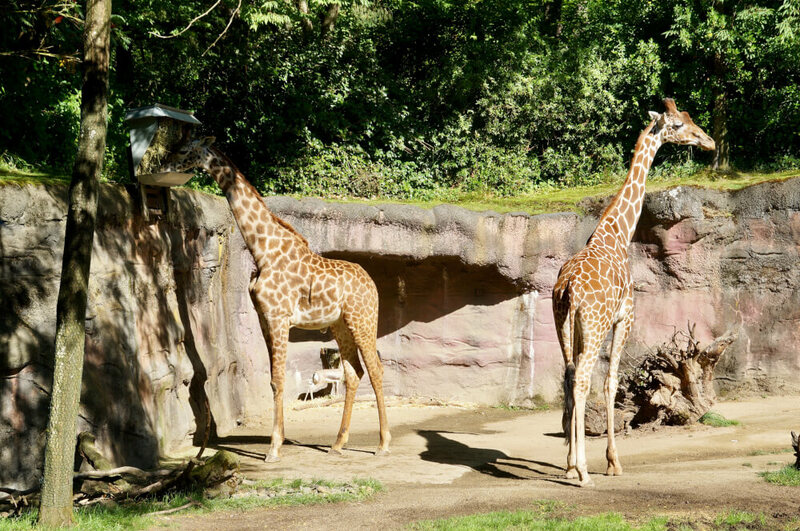 The Oregon Zoo is undergoing some expansion plans in the near future. I’m most excited for the Rhino area. 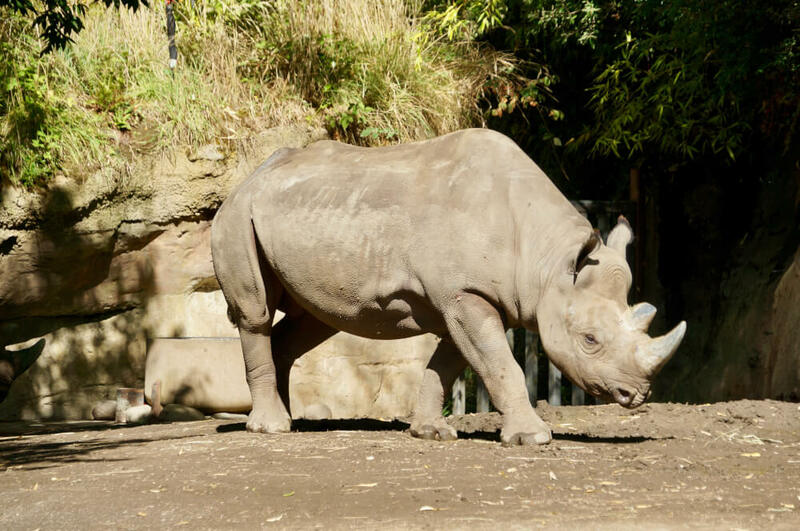 As part of a bond project, the zoo’s black rhino habitat will be expanded beginning in 2018. The hippos at the Oregon Zoo will head to another zoo. Their pool area will be added to the rhino habitat by 2020. According to their website, eventually other savanna species will join the rhinos to create a multi-species savanna habitat. I really appreciate multi-species habitats, so we will be back in a few years to check it out. We also heard from zoo staff that there are plans to pull the warm air from the polar bear area and blow it into the Elephant Lands area to be more sustainable. The new Polar Passage exhibit area is set to debut next year. This expansive, two-tiered habitat will include natural ground materials, shallow and deep pools and extraordinary viewing opportunities for visitors. Like the Elephant Lands design, polar bears will be able to patrol their habitat as they would in the wild and take in views across the zoo. Get there early. The Oregon Zoo is deceivingly large. Plan to arrive right when the doors open, when preschooler moods are good. Bring a sack lunch. The food offered is what you’d expect at a zoo. But, remember not to bring any drinks with drinking straws, as straws are prohibited. Try a Zoo Key. Unlock the secrets of the zoo and learn about your favorite animal at talk boxes on zoo grounds. Purchase a zoo key with your admission or any zoo retail location for $2.50. Eat a snack on the grassy area. There’s a huge grassy area between the food court and the elephants. Make a stop here and enjoy your snack while watching elephants. That view is hard to beat! Plus, the kids can run around on the grassy area and burn off any sugary treats. Climb aboard the steam locomotive. On the other side of the parking lot is a steam locomotive. Guests are allowed to stand inside the engine. It was a good incentive to get my son out of the zoo. Zoo For All. Effective September 1, 2017, qualifying Oregon and Washington individuals and families can purchase admission tickets for only $5 per person. This sounds like such a fun time! 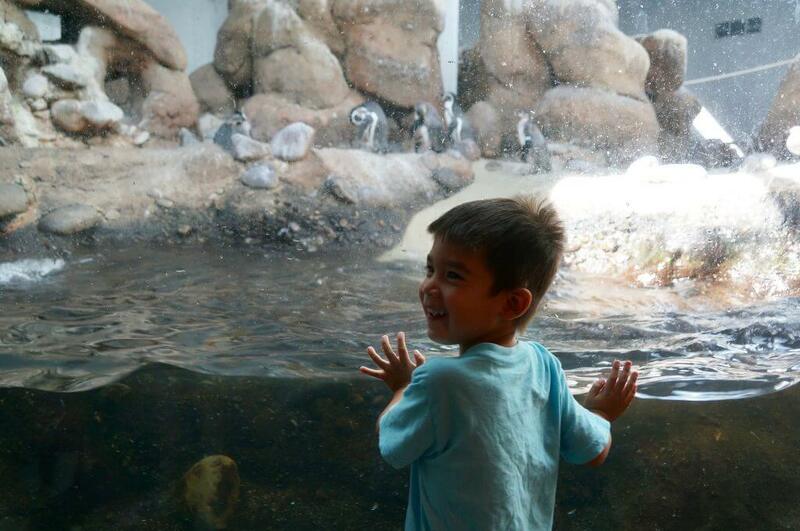 I totally think the zoo is great for the whole family, and the kids LOVE it! Great pictures! The Oregon Zoo is my favorite in the Pacific Northwest, so far! It looks like you had such a great time! Wonderful tips at the end, too. Getting to any public place early is a good idea, and bringing your own bag lunch is a great way to save some money! Yes, we usually like to get places when they open. I’m surprised how many people take their time and get places closer to lunchtime, when places get super busy. Adding this to the summer bucket list!! Thanks!! I love Portland! I haven’t been to the zoo though. I’ll have to try it! Isn’t Portland such a cool place? The Oregon Zoo is amazing and perfect for families! 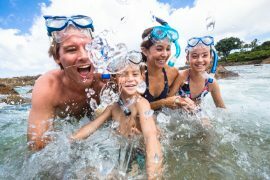 Taking time out like this is a great way to foster family bonding. How your children must be developing very fast in vocabulary as well, by learning the names of the animal they see. You photographs are great too! Yes! I was impressed that my 3.5yo kept trying to pronounce each animal correctly, even as he stumbled. But, he eventually got most of them right! How fun!! I actually teach Kindergarten and I’m sure I could take a lot of these tips and use them at a local zoo if we ever went on a field trip. I love your pictures!! Yes, definitely a classic family outing! Ahhhh this looks like SO much fun! 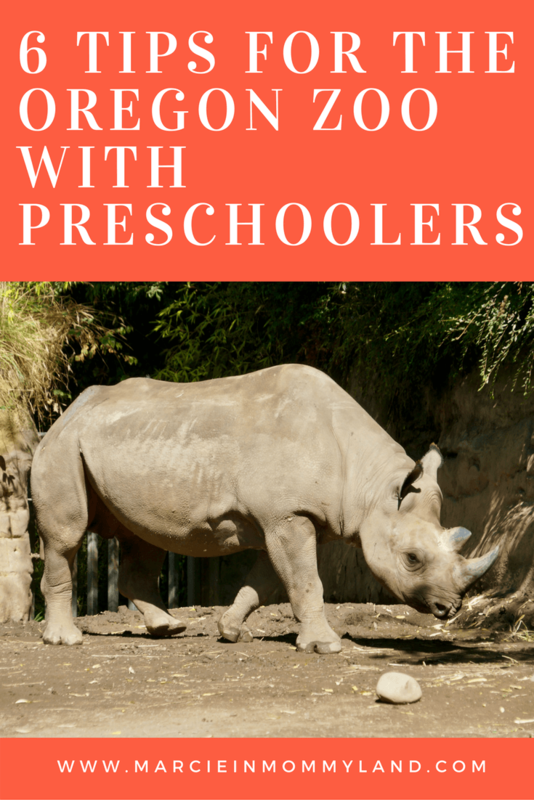 I am a huge lover of going to the Zoo and with a little boy on the way, I am all about learning about great Zoos around the US! Giraffes are also my favorite 😉 Looks like such a fun day!! It’s just the right size for babies and small children! How fun! I have relatives in Portland and now I know what to do if I am ever babysitting! You would be the best babysitter if you took them there! That looks so fun!! I love giraffes too ? These photos are great, you all seem to have had a long time. I’m in Texas and waiting for it to cool down, that way we can take a trip to our local zoo. Crossing my fingers for cooler weather for you! 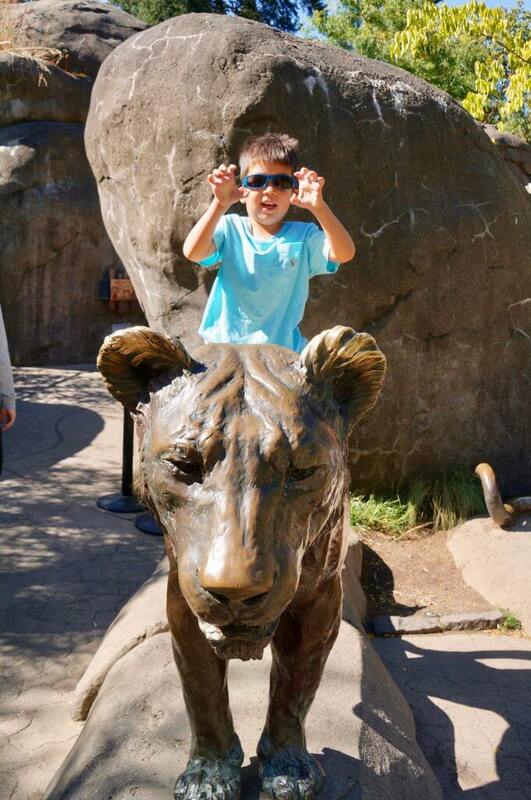 My kids LOVE going to the zoo too. I think your tips for parents are great and will be so helpful on our next visit. I love that zoo trips can be as long or as short as you’d like! This looks like so much fun. I LOVE zoos – I hope to visit the Oregon one one day! I think zoos are a great way to see animals that you may never see otherwise. 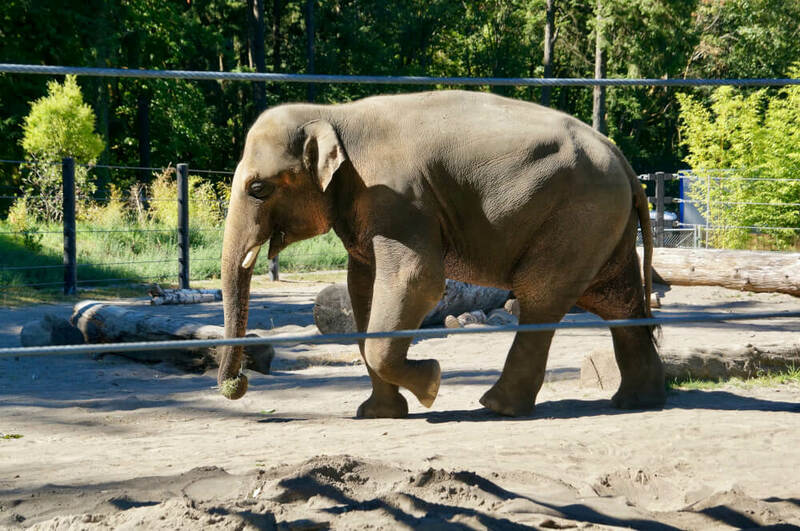 I have been wanting to hit the Portland Zoo especially for the elephants! We love Woodland Park but miss the elephants a lot. YES! We really miss the elephants at Woodland Park, too! I think you’ll be impressed with how well-designed the Elephant Lands exhibit area is! I used to not like Zoo but looking at your blog post makes me remind my first time going to one and I loved it! Thanks for sharing. They are much more fun when going with kids who have never seen the animals! So much fun! 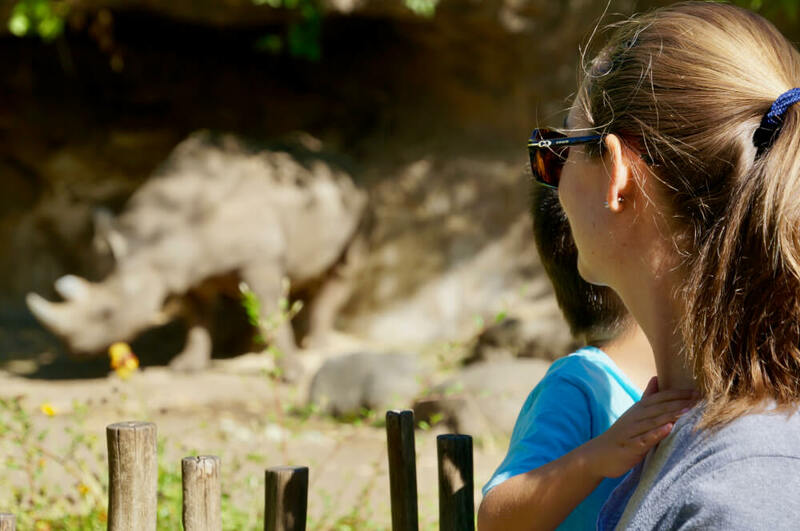 My 6 youngest cousins and I go to a zoo every year and these tips are lifesaving! I’m saving this post for when I have little ones of my own! Wow! 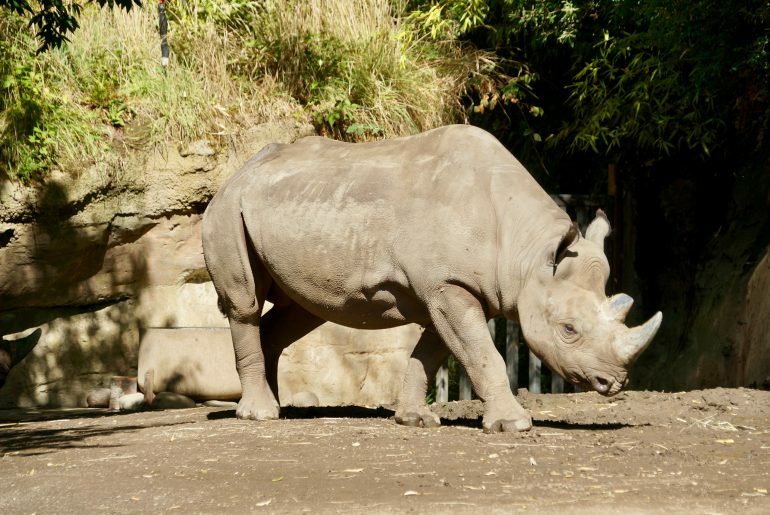 What a great article about the Portland zoo. It’s been a while since I went last (the train was operational) if that tells you how long it’s been. I agree that it is the best of the Northwest zoos. We loved the Elephants. Your article inspired me to go back. I think I’ll wait for the zoo lights though. Of the three, their winter zoo lights are also the best. Thank you for the article. Looks like you all had a great time. I haven’t been to a zoo for many years now, but I have been planning to take the grandkids when they got a little older. Maybe this will help us to make the trip sooner.